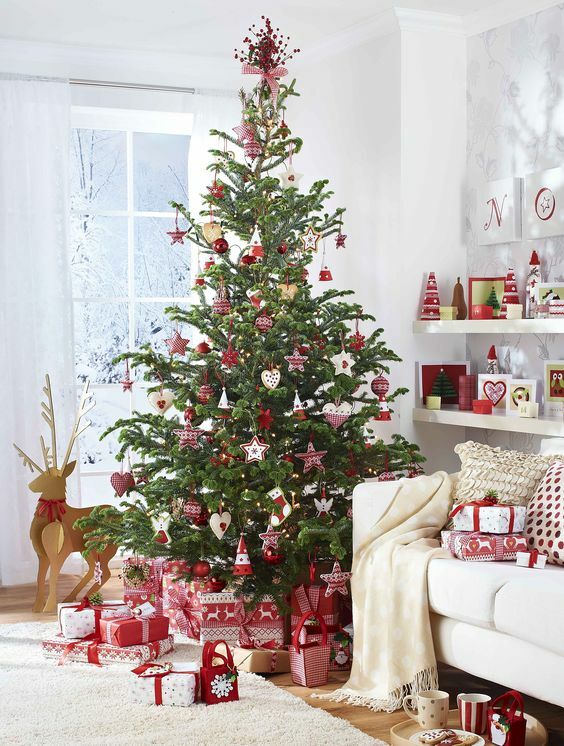 Christmas is almost here, do you feel this holiday spirit? 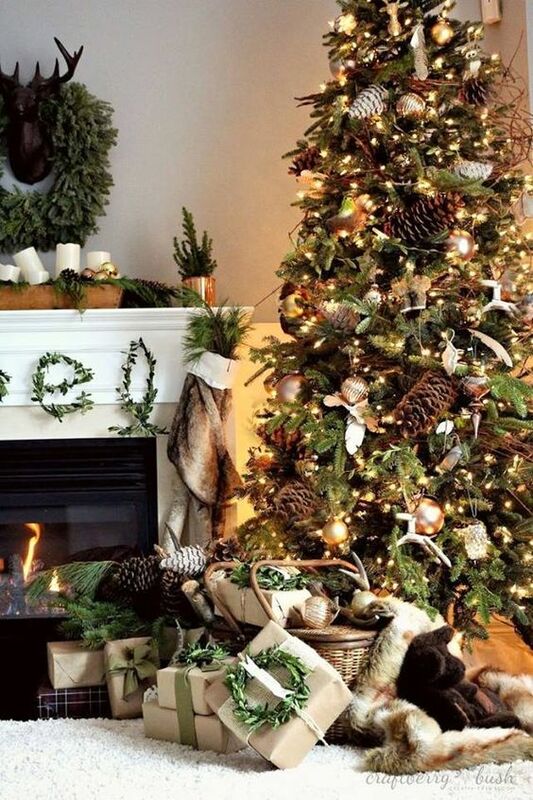 Are you ready with all the decorations and gifts? 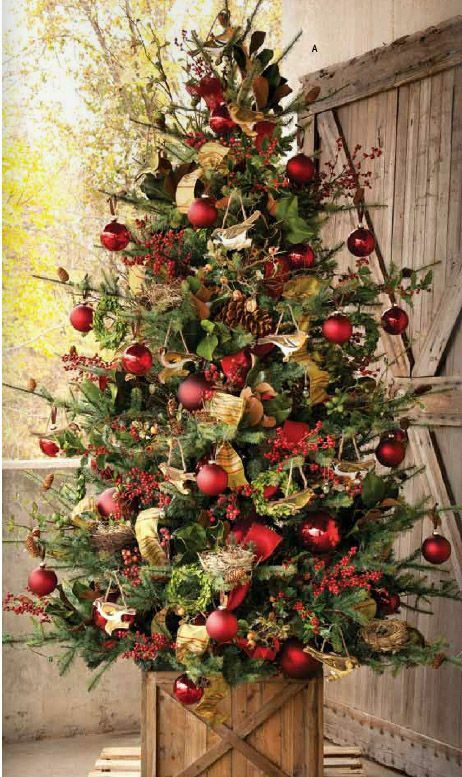 Today’s roundup gives praises to the coming holiday that we’ve been looking forward to during the whole year. 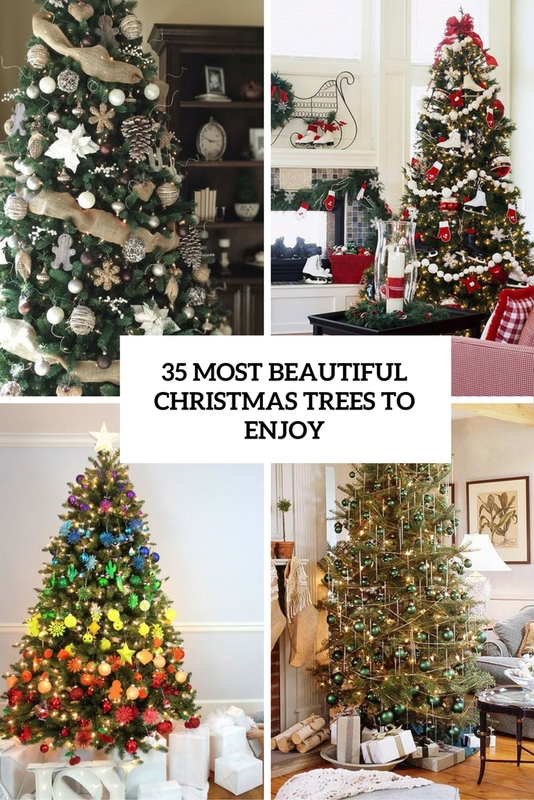 I’d love to share the most stunning Christmas trees on the web to get you inspired if you haven’t chosen décor yet or just to let you enjoy more holiday eye-candies. 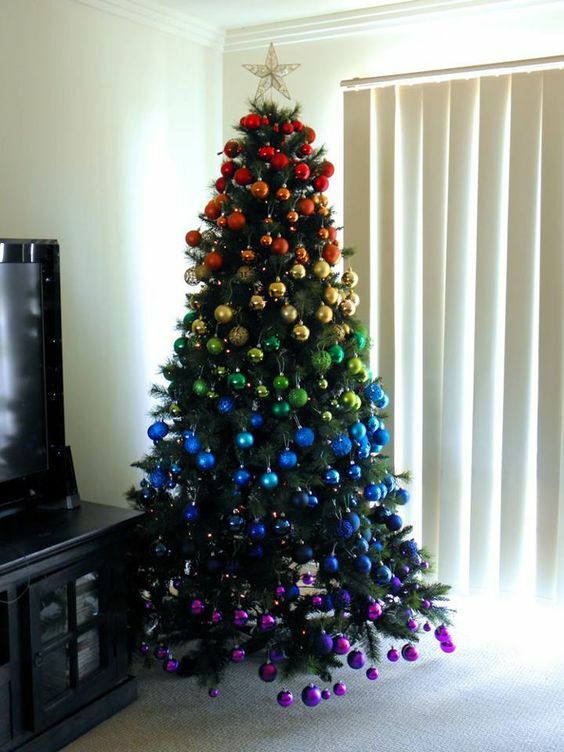 Ombre is a very hot trend in décor now, and what would you say to an ombre tree? 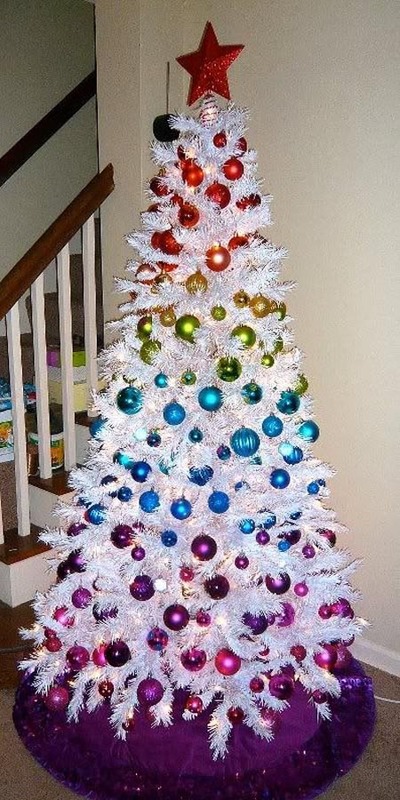 And an ombre rainbow tree? 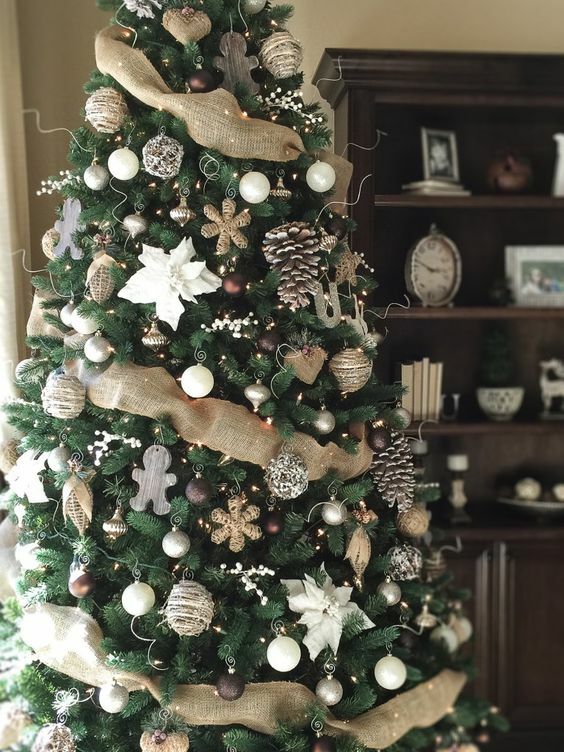 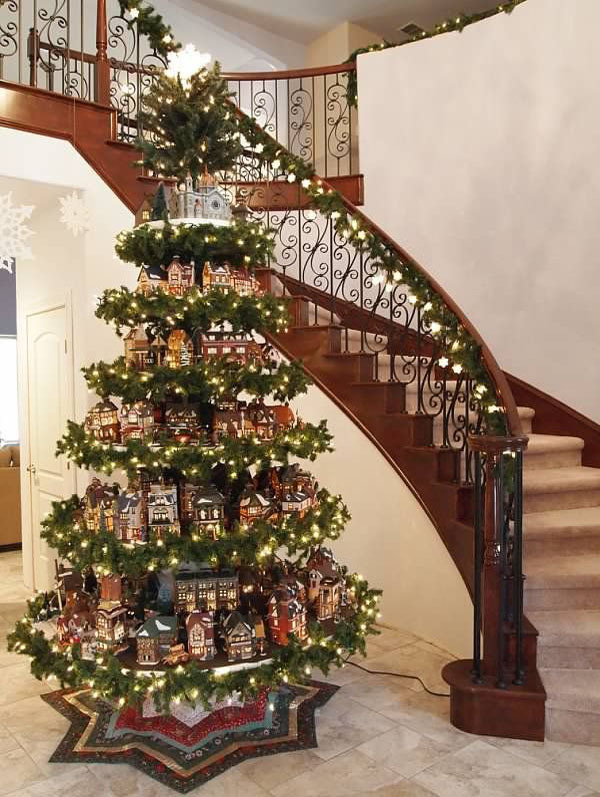 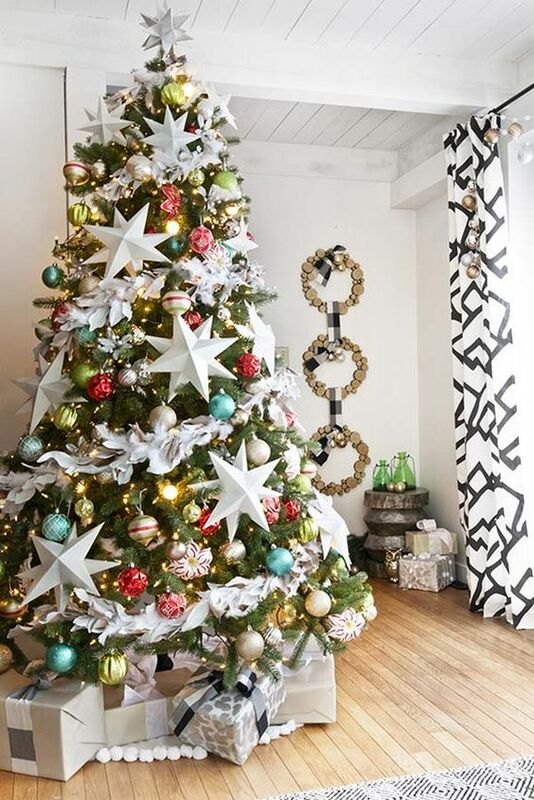 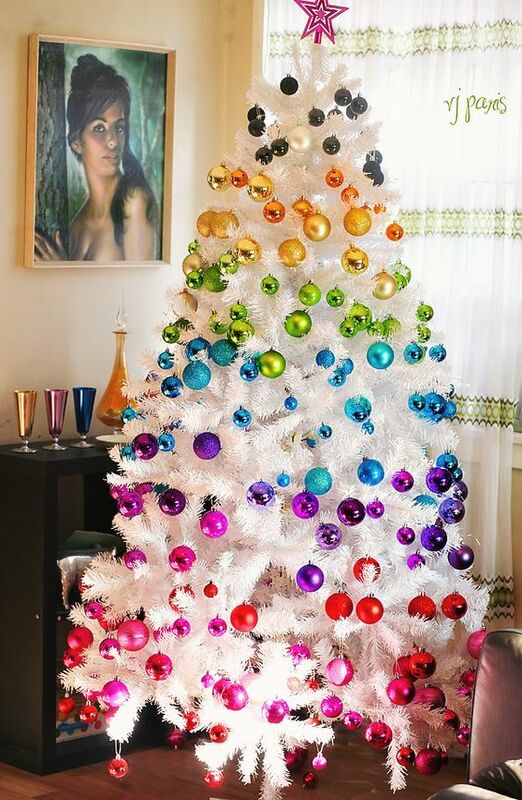 Such a tree will make a bold statement will raise up everybody’s mood, will make you happy, and it’s a stylish way to rock many colors at once – such a great idea when you can’t choose one shade. 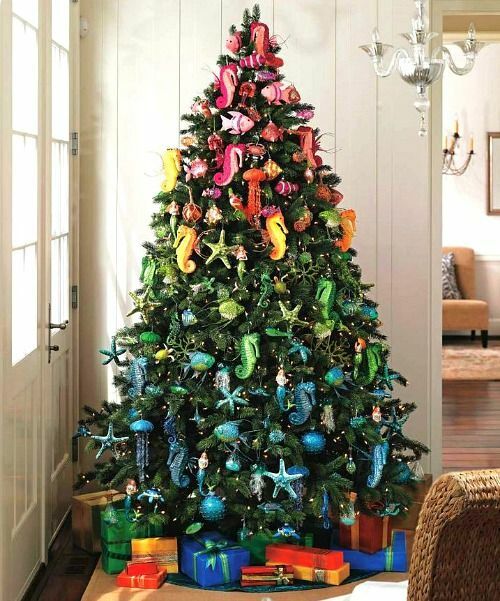 Colorful ornaments will stand out even more on a crispy white Christmas tree, so be bold these holidays! 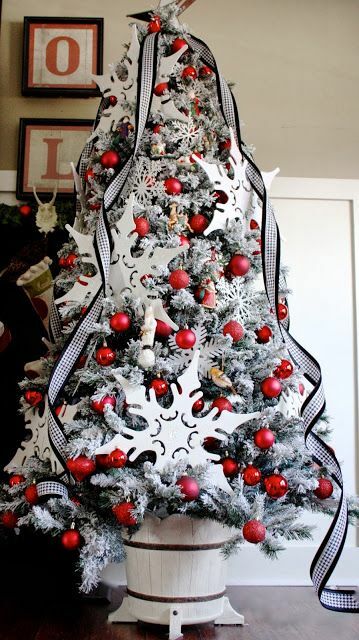 I must confess, I love big ornaments! 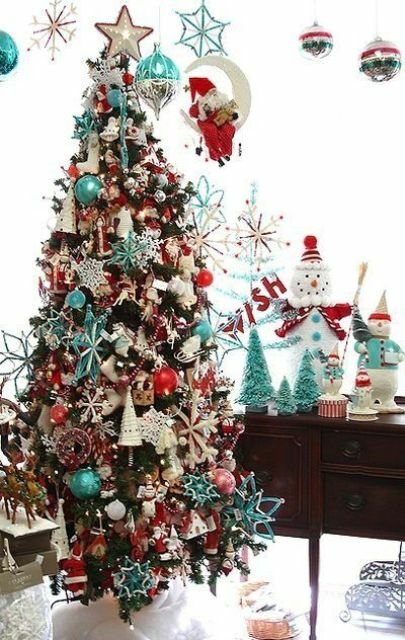 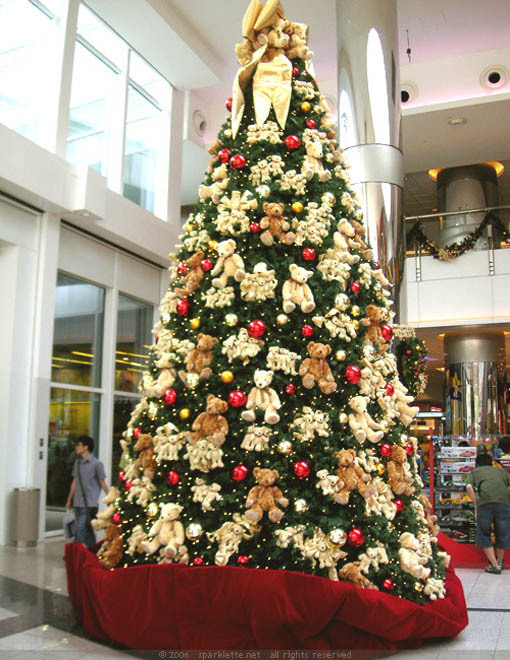 They catch an eye and make everybody feel the holiday spirit, that’s why I like oversized ornaments on Christmas trees. 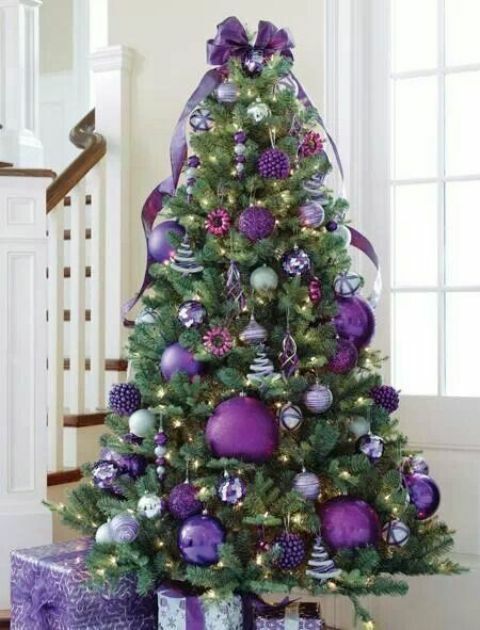 They make a statement and look awesome, they may be in the same color combo as all the rest or of some contrasting shade, as you wish. 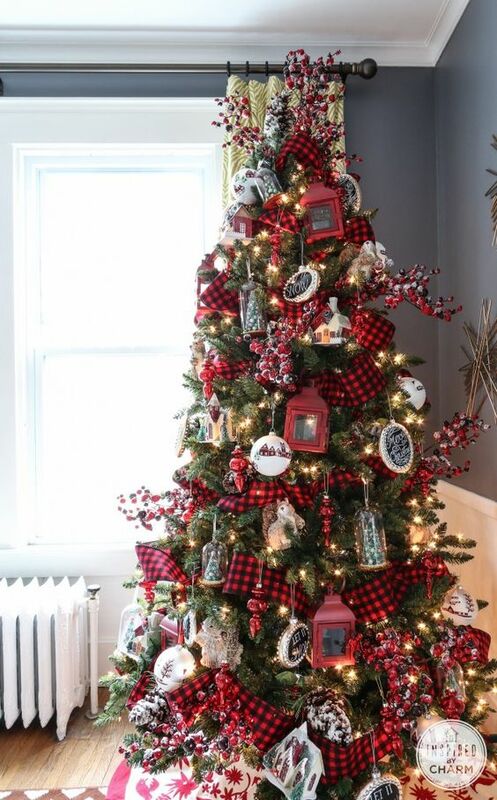 Red, emerald, gold and plaid are traditional for Christmas, and though you may say that they are hacky, there are always stylish ways to rock them. 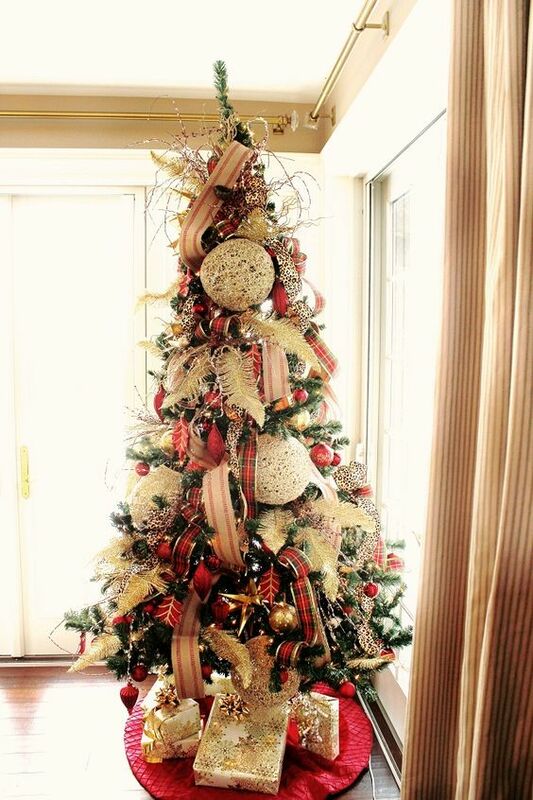 Red and gold glitter look awesome if they aren’t excessive. 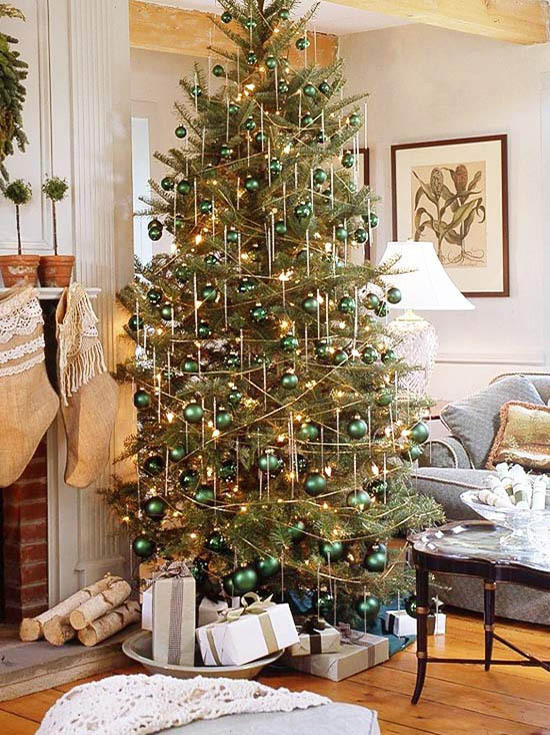 Emerald can be a nice choice for a monochrome Christmas tree, and red and white will give your tree a Scandinavian flavor. 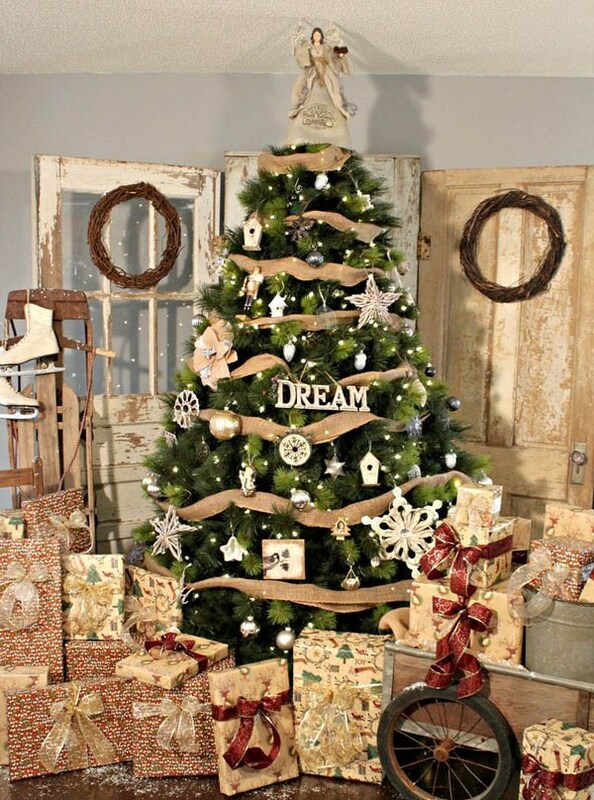 Rustic touches like burlap and wood slices will make your tree cozier, and for a whimsy touch you may add some lanterns or clocks right on the tree. 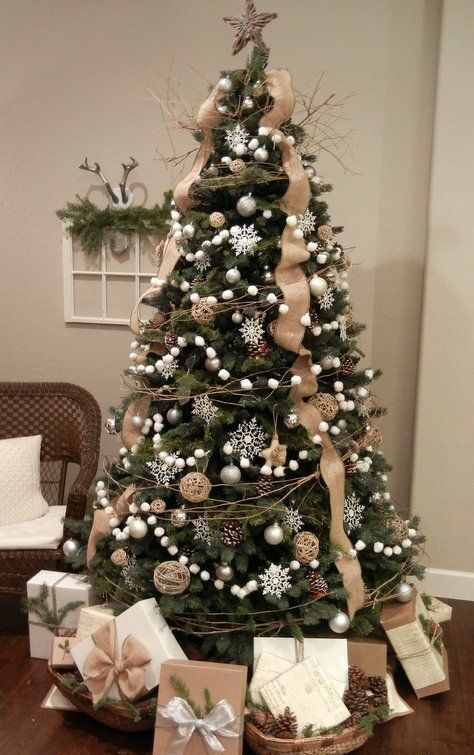 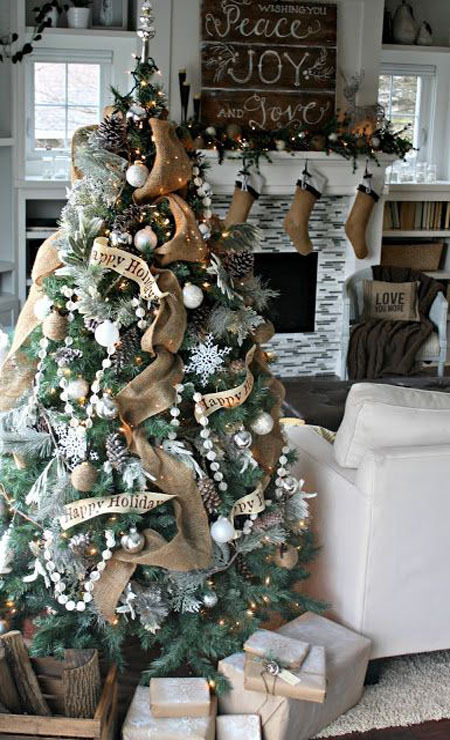 Rustic tree décor is very popular nowadays, just like all the other rustic décor. 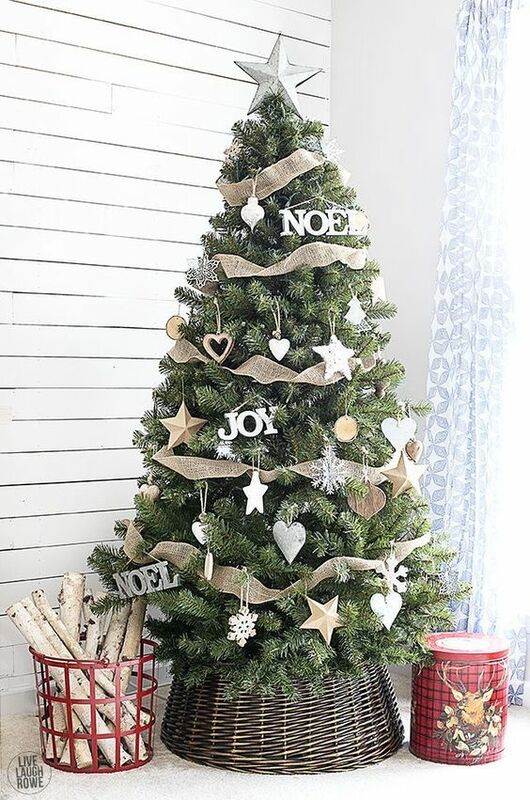 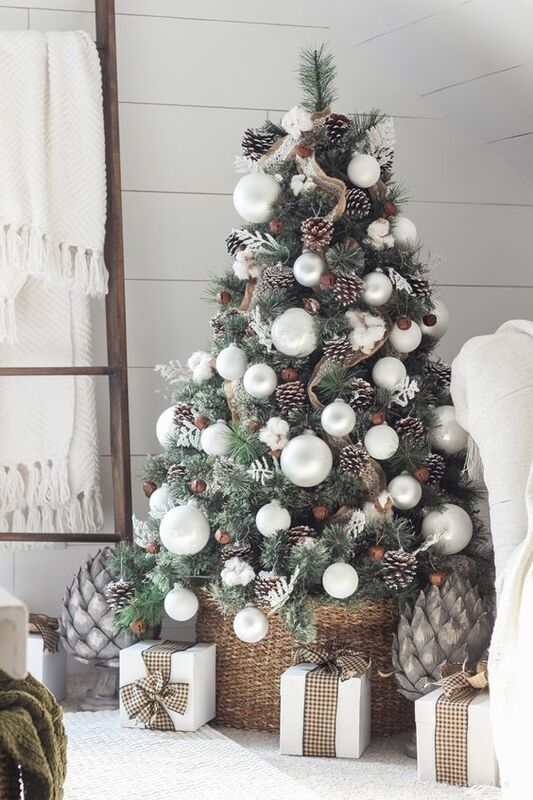 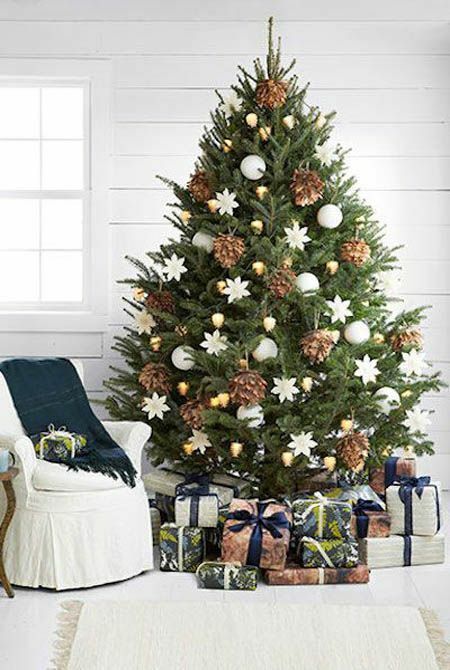 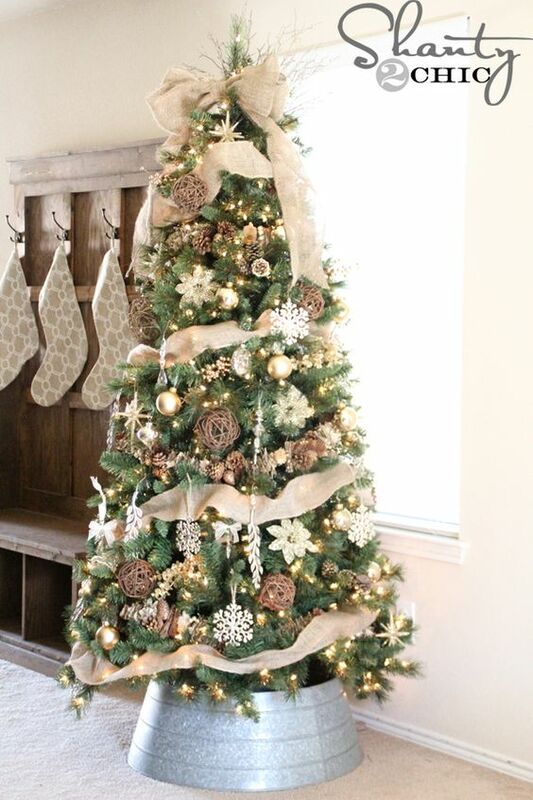 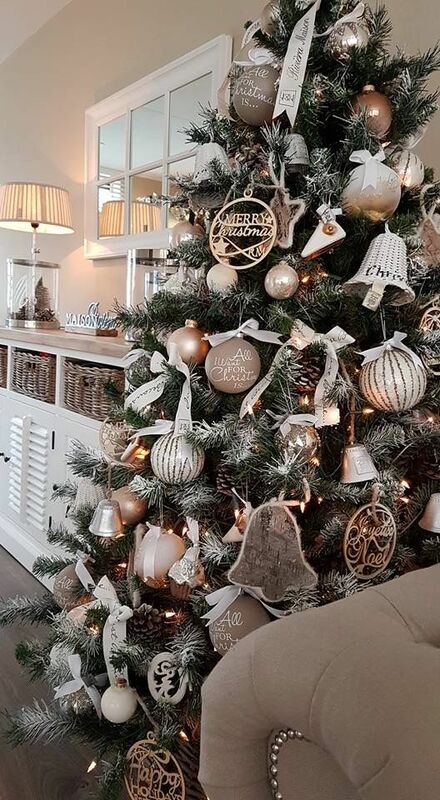 Pinecones, burlap garlands and ribbons, wood and felt ornaments, vine spheres and baskets for the tree base will make your tree stylish and cozy. 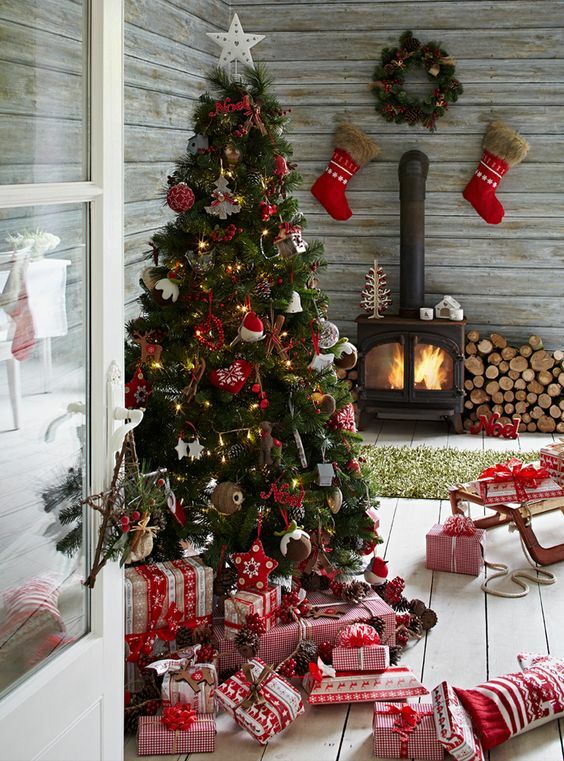 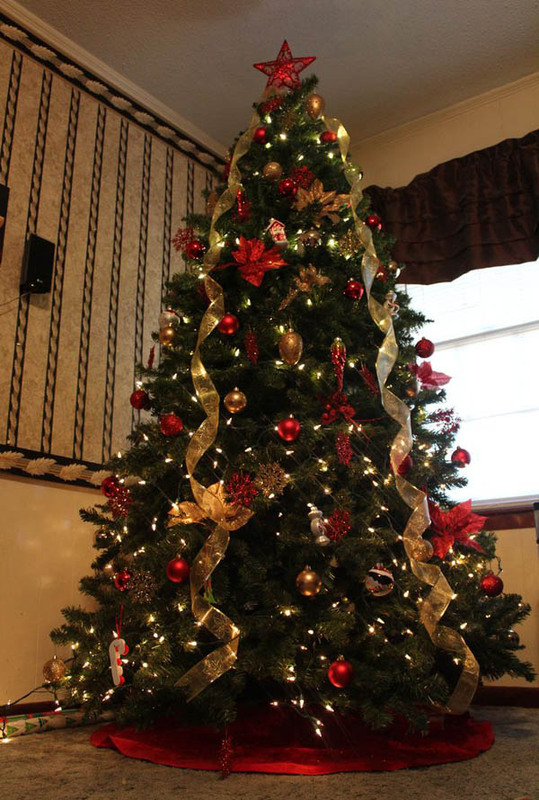 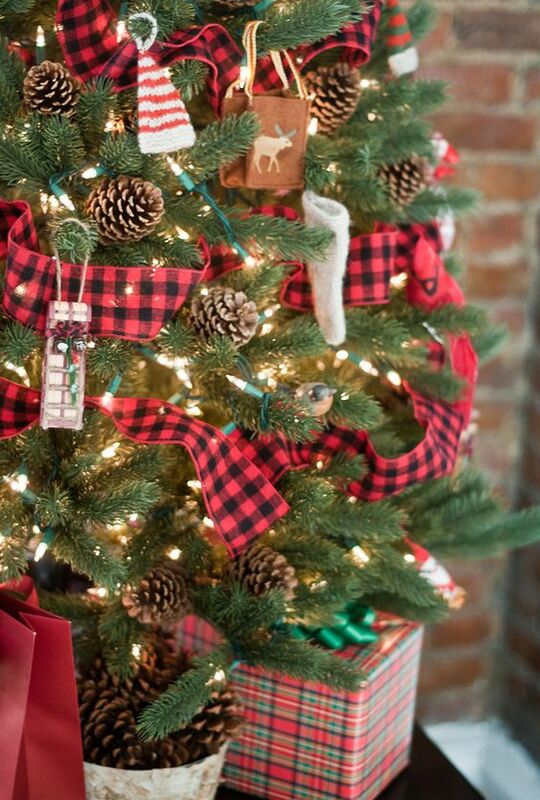 Plaid decorations or ribbon will add a colorful touch, make your tree super cozy! 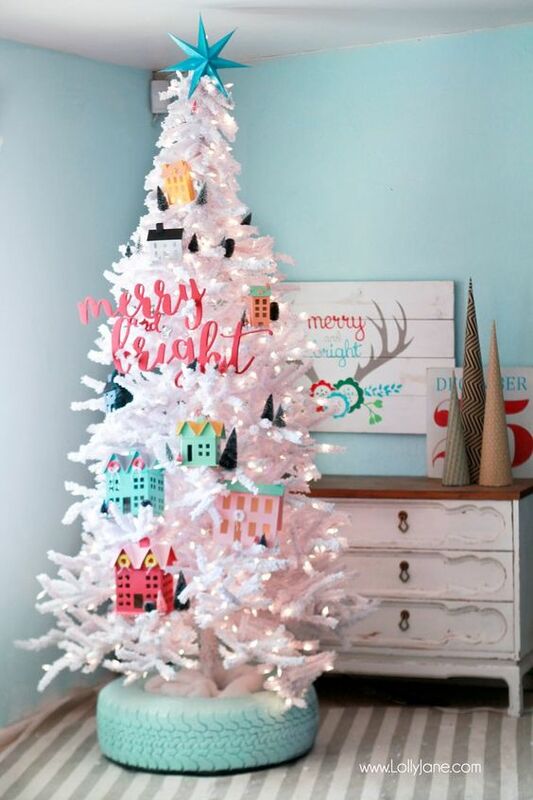 If you are looking for something eye-catching, if your kids want something special, make a whimsy Christmas tree! 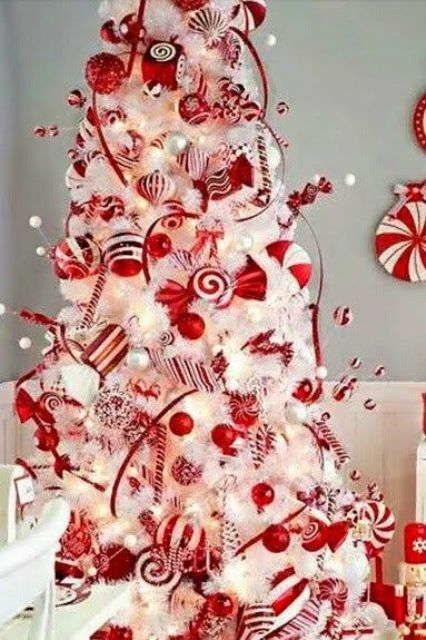 Decorate it with colorful ornaments, gingerbread cookies, teddy bears, ice skates, mittens, candy canes or any other cute items. 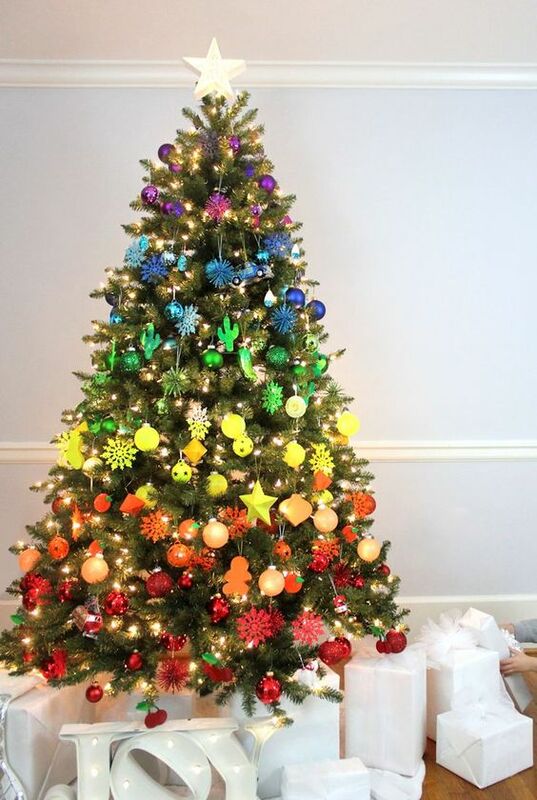 You can even make a whole tree of various ornaments to make your kids happy.